Let’s play for real this time, I mean it, no matter what, the first one to speak is It, & after that it’s the thing you say that’s It, alright, but after that, it’s the way you say whatever you say that’s It, that’s it, no matter what time it is, at school, or recess, if the teacher talks, it’s how she talks that’s It, & even at dinner, or taking a bath, or if you’re asleep, let’s say, if you talk in your sleep & I hear you & it’s like you’re talking to men on the moon, that’s it, you’re talking to men on the moon, alright, no matter what, if you’re wearing clothes or not or if you’re happy or sad or not, I mean it, or if you’re talking like you’re dead that’s it you’re dead, alright, or if you’re dead for real, let’s say, & it’s like you’re talking to me that’s it you’re talking to me, no matter what, & if tomorrow if I talk like you that’s it I’m talking you, alright, I mean it, no matter, no matter what, for real this time. A body of water. Curvature in the millrace. A river with limbs of a child! hairless, jointless, kicking at air. Why this is a form. Why this is the form. Because—no, not by cause—by origin. Slow down, say the banks, but the river’s ear shuts quick as it opens, becomes a hamstring or a pumping arm. It speaks in current & diverging. The banks lean back to keep their balance, or get washed away. Why this is a form. Why this is the form. By cause? By origin, as water down the smoothest grade will snake & turn for sinuous is the form of flowing. Why this is the form—no cause, no cause but origin—a higher place, a lower place, a hide&seek with crevices & ever downward rooms, slipping, scenting ever seaward, now dammed, now driven, but in its falling shifting gouging, running it counter saying no & laughing no & turning no & again no & for an instant filling all relations from shore to shore in shape of one smooth beast that comes to the mill & came to the mill & spoke & speak & say how you came to the mill & felt the spoked flywheel flutter inside you, felt & feigned & find a whole new life. In the backmost molar, a sandgrain lies in a cleft & hides. Irreducible, my atomy, you will not root or rot, you will not disintegrate. Things used to appear complete with a place to put them—bread to box, coin to cup, dish to drain. The skull was a good jug—hands, its stand—lungs, brown bags drawn tight at the throat—heart, aluminum kick-the-can, home-free heart—what number of vessels, & vessels for vessels, one in another, orbits in order, the sieve in the mixing bowl in the soup tureen—brush, rinse, spit, brush, rinse, what is clogged, jar loose, what is loose, sift through, what is sifted, store—mountains smooth to the tune of that file, to drill & dynamite yield up their scree, their terracotta shards, their metals, prized & unprized—once in a while, the unclassified stone, unknown, & rougher than rasp of instruments—listen, here in the teeth, you are mine, the odd-sided die I can do nothing with. Let’s shoot craps, just us two, & if I win, you will be changed into something rounder than rain, round as the dryspeck bound at the core of the drop. & if I win? comes the echo. If you win, go on grinding away, till my mouth is a hole in the ground. Videography & Direction by Ian MacLellan, with special thanks to Emma Scudder. Henry Walters’s poems “Presto,” “Animato,” and “Rondo alla Turca” were selected by poetry judge Srikanth Reddy to win the first annual $1,000 Better Prize in Poetry. 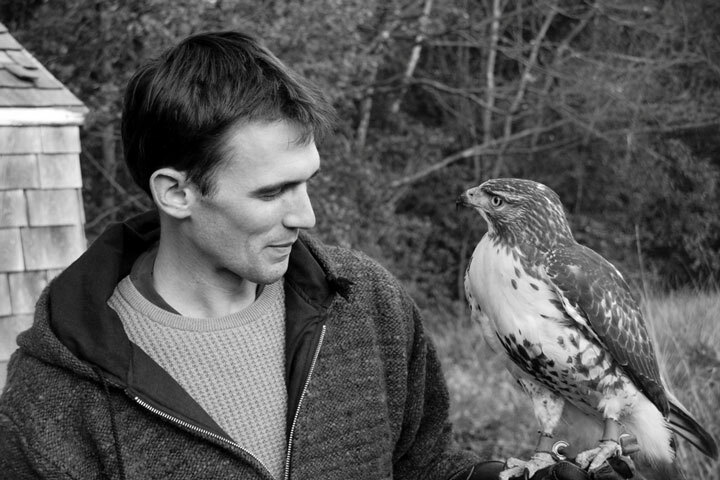 Walters is a naturalist, teacher, and practicing falconer. He has apprenticed himself to beekeepers in Sicily, crow-hunters in Ireland, and ten-year-old astrologers in Ghana. His poems, essays, and translations have appeared in The American Guide, The Old Farmer’s Almanac, Asymptote, The Literary Bohemian, Tuesday: An Art Project, Miracle Monocle, and Hawk Migration Studies. 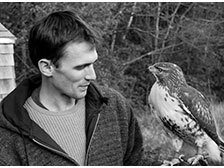 He acts as steward of a tract of conservation land in southern New Hampshire, where he lives and writes. A book of poems, Field Guide A Tempo, will be published as part of the Granite State Poetry Series in September.